01. Hypertext links to other web sites will not be permissable in owners property rental advertisements on Algarve4me. However in some cases, an exchange link agreement will be acceptable, please contact us by e-mail. 02. Algarve4me accept no responsibility for the accuracy of advertisements placed on the Algarve4me web site. It is the owner / advertisers responsibility to keep their property advertisements accurate and up to date. 03. Owners must keep their prices current. Frequent complaints regarding price irregularities may result in your advertisement being withdrawn from the Algarve4me web site. 04. Owners must advise Algarve4me immediately of any problems with their property details which they are unable to correct themselves. 05. Owners must ensure that their contact details are kept up to date. This includes "e-mail", "telephone/fax", "contact name". 06. Upon web site inclusion of a new property for rental, it is the owners responsibility to check the advertisement and advise Algarve4me accordingly if any misprints or errors have occurred. 07. 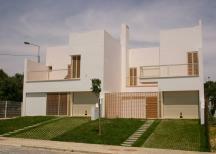 Unfortunately Algarve4me do not take property details or photographs from other web sites. If you wish to have your property included on the Algarve4me web site, you need to register and input your details online. If you are unable to upload your photographs online, you can forward your photographs to Algarve4me by e-mail. 08. At Algarve4me, we will alter your text and photographs to maintain the layout and general overall quality of the Algarve4me web site. Photographs should be supplied at 216x154pixels Jpeg or larger and preferably no more than 25k file size per photo. 09. We assume that all photographs submitted to Algarve4me are the sole property of the property owners/advertisers. We may at times use photographs provided to Algarve4me for the publicity of the Algarve4me web site. 10. At Algarve4me we will provide links to other web sites. We do not however endorse any of the services or products made available through these links. 11. Where necessary, it is important that advertisers keep their availability calendar up to date. Failure to do so may result in you receiving lower enquiry levels for your property. 12. Clients who try to deceive others by advertising the same property but with different property names will find that Algarve4me will remove all the clients listed properties from Algarve4me and any future properties from the same advertiser will be refused. 13. It is strongly advised that if you have a villa or property which is split into separate apartments/units, that you create a separate advertisement for each unit. This will ensure that you can control any different pricing structures and keep up to date availability calendars for each unit. 14. We at Algarve4me cannot be held responsible for any loss or damages incurred such as lost income, property damage etc as a result of your advertising with Algarve4me. 15. Algarve4me will not be held responsible for any problems related with the internet such as breaks in service or Algarve4me web site availability. 01. Algarve4me provide a service for owners and rental agents of properties on the Algarve. WE DO NOT TAKE BOOKINGS OR PROVIDE AN INTERMEDIARY SERVICE. We will however contact owners / advertisers on your behalf if for any reason you are unable to make contact with them using their details provided on the Algarve4me web site. 02. Distances specified on the Algarve4me web site are provided by the property owners / advertisers. If you have any doubts prior to booking your holiday, please double check with the property owners. 03. All disputes over the mis-representation of any property details or disputes over money are solely between the property owner/property renter and the holidaymaker. If you have any doubts prior to booking your holiday, please double check with the property owners. 04. Algarve4me keeps it's website users informed about any criminal activity that holidaymakers may need to consider when renting a property. However, it is extremely dificult to keep up with all the latest scams because criminals are always looking for new ways to con people into parting with their money. You can find some useful information on our Property Scams page. The particulars and prices detailed on the Algarve4me website do not form any part of nor do they offer any contract for the properties for sale or rental. The particulars and prices are intended to give a fair description of the properties concerned and whilst every effort has been made to ensure their accuracy this cannot be guaranteed. Any intending purchaser or renter must speak directly to the owner's/advertiser's of the property's to confirm that the details displayed are current and correct. A full inspection of the properties should be made before any decision is made to purchase or rent.